Forced to take the suffering child home and manage their fever, we began to realize that doctors didn’t hold the golden key to the medicine cabinet. It turns out we have just as much power as the doctor when it comes to preventative medicine and even healing. Sometimes, we have even more power! Through a combination of digging out lost skills and the radical availability of raw materials, people have begun to stock their own medicine cabinets. Even easy to buy OTC meds are being replaced by safer natural methods of dealing with pain, infection and healing in general. You might think this kind of work belongs in a lab, but you’d be mistaken. In fact, we are going to go over some of the medicines you should know how to make at home. 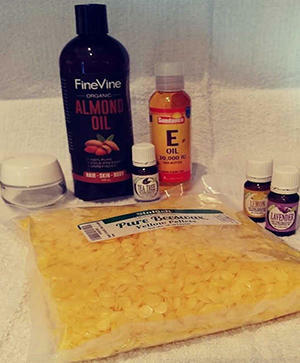 From Propolis to Poultice you will learn the basics of making your own medicines at home. Many homemade medicines for internal use can be produced and made in capsule form. These capsules are readily available, and are great ways to transport things like essential oils. You are going to need a vessel for your concoctions, decoctions, tinctures and the like. Syrups and ciders all store very well in mason jars. A poultice will always benefit from a bandage covering it. Have plenty bandages on hand, so you can keep your homemade medicines in place. The processing of plant material requires a good mortar and pestle. This is also a method that requires no electricity, which will help you out no matter how bad things get. Propolis is the “glue” used by bees to seal holes in the hive. It is a mixture of saliva, beeswax and botanical ingredients harvested by the bees. Propolis has incredible health benefits, and is claimed to have just about every ‘anti’ property you can imagine, from antimicrobial to anti-inflammatory. 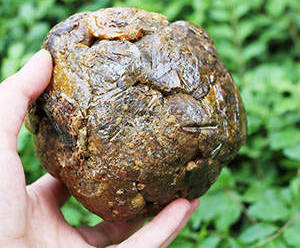 Propolis can be purchased, and is most often used in tincture form. This tincture can be added to lard at a ratio of 1 tablespoon to 15 grams of lard and a little beeswax, to make a great ointment for external use. The healing oils and vitamin E in this natural version of Neosporin are going to give you all the benefits of a TAO, but without the antibiotics and the unnecessary ingredients. Infection of wounds will be a massive concern when it comes to a SHTF scenario. You have to have the ability to not just cover that wound, but to apply a healing ointment that will promote faster recovery. These little berries, when reduced into a syrup, have the ability to do several things. They boost immunity, help with flu recovery, and they have even been shown to reduce swelling in the nasal passages. 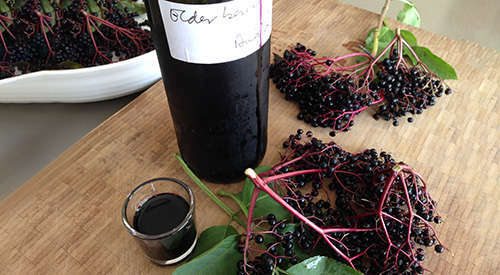 Elderberry is no snake oil, and the syrup should be kept around to deal with all of your family’s winter ailments. This very simple recipe requires only that you mix the ingredients together, bring them to a simmer, reduce the mixture by half and then cool. Once the mixture is completely cool it will be ready to use. You can add things like turmeric, ginger, cinnamon and other spices to your syrup as well. A homemade batch should last the full winter season. Containing the active ingredient of aspirin – salicylic acid – willow bark is a legitimate pain reliever and fever reducer. Not only is the salicylic acid in there; its also pretty easy to get out. Willow bark should certainly be a means of pain relief that you create at home. The bark from younger branches will have more salicylic acid than bark from the trunk. Start by stripping some bark off these small branches. Gather yourself a nice bundle of bark that is about 3 inches in diameter when gathered together, loosely packed. The best practice is to let the bark dry out a bit. If you need the medicine now you can make it immediately, but it will produce more if its allowed to dry out. Add 1 tablespoon of bark for every 1 cup of water. Add the bark to boiling water and simmer for 10 minutes. Fire cider is a powerful mixture of raw apple cider, honey, lemon, chilis and a whole bunch of mean roots like onion, garlic, horseradish and maybe even some turmeric for good measure. It can be a serious treatment for things like colds, congestion and flu recovery. The best thing to do is try out a recipe and tweak it to your liking. Some people take it as raw shots, some drink it as tea or a base tea, and some people even marinate food in it! It’s a powerful little concoction. Charcoal is highly absorbent. There is a reason that fine activated charcoal is used in high quality water filters. The beauty of charcoal is that it can be created and pulverized by hand, even in austere settings. 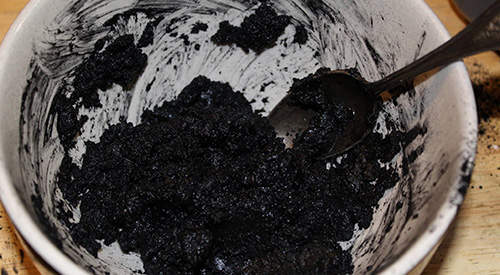 What a charcoal poultice offers is an option to pack a wound with something that will absorb any bacteria or infection. The charcoal poultice can also be combined with other easy to find wild medicines like common plantain. This is another great poultice ingredient for healing wounds. Combine them both in a mortar and pestle at a ration of about 4 to 1, charcoal to plantain, and pound the mix up. Cover your wound with the mix and apply a clean bandage. While its hard to find an immune boosting medicine on the market, you can buy things like Emergen C or Airborne to help boost immunity. However, you are probably a short distance away from the plants you need to make a quick immune boosting tea. When it comes to immunity Vitamin C is king. We used to think that oranges were the holy grail of natural Vitamin C. The truth is a single orange only contains about 70 mg of Vitamin C. To really get the most out of this Vitamin you want to take about 1,000 mg a day! More if you are sick. A better source is pine needle tea. A variety of pines can be used for this tea, and you need only pick the youngest needles, wash them thoroughly, then boil 1 tsp if chopped needles in a cup of water for 20 minutes. Strain and you are ready to drink. Unlike an orange, a cup of this pine needle tea contains nearly 350mg of Vitamin C and can be had several times a day. Thanks to the oceans of knowledge at our fingertips, and the incredible access to resources that we have today, healing medicine is no longer just for doctors. As you can see, with just 7 simple medicines you can treat a whole host of issues. I encourage you to just make one. 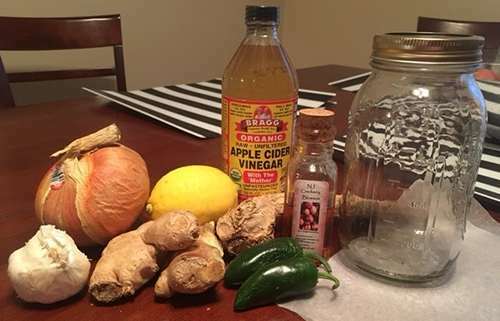 Pull one of these natural medicines from this article and make it, use it and reproduce it. Be sure to gather the tools of the trade so you have the things you need. When you have the right tools, everything is easier. Before long, you will have cabinets of dried willow bark and jars of elderberry syrup hanging around the house. It might even make you feel like some kind of witch or warlock!